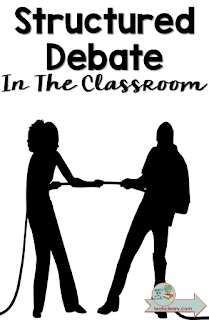 I have to admit that in the past, I haven't been very good at implementing debate in the classroom. I get the idea in theory, but it always seemed to degenerate into a string of unsupported opinions and logical fallacies. I see that everyday in my Facebook feed. A. That's not what a debate is. B. Students are exposed to enough fallacies in their social media feeds (though they do not touch Facebook). I always felt like we should be doing better. After all, students need to be able to recognize poor arguments in order to be discerning citizens (think election cycle commercials or the abyss of social media "debates"). And what better way to do that than to ask them to construct logical arguments? But students need to learn this skill in a variety of ways--first, through direct instruction, and next, through trial, error, and reflection. In other words, practice. 2. Teach students about logical fallacies with examples (I use film clips). Then use a series of film clips, and have students decide which fallacy(ies) each clip exemplifies. 3. 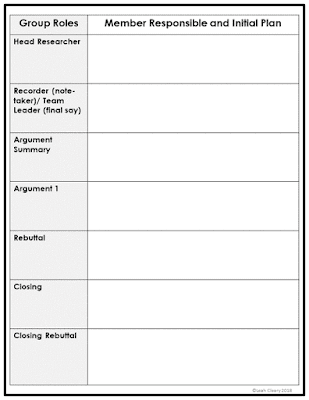 Then give students a topic with two clear sides. I like to initiate this with a simulation or a short film or podcast. For example, in sociology or economics, if students will debate the idea of Universal Basic Income, I begin the lesson with a Freakonomics podcast about the topic. As students listen, I have them construct a pro/con chart (or if it's economics, opportunity cost/ benefits). Have the students briefly research each side and reflect. 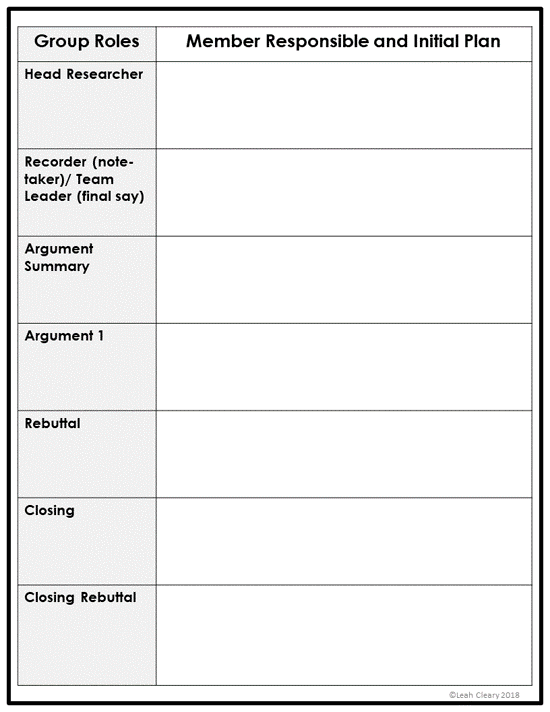 Then ask students to write a short paragraph explaining which side they agree with. 4. The next day in class, hang a sign in one corner that says, "Agree," and one that says, "Disagree." Instruct students to go to the side that represents their opinion. Allow students to explain why they chose the side they did. If nobody goes to one side, the teacher should play "devil's advocate," and explain the opposing side. 5. 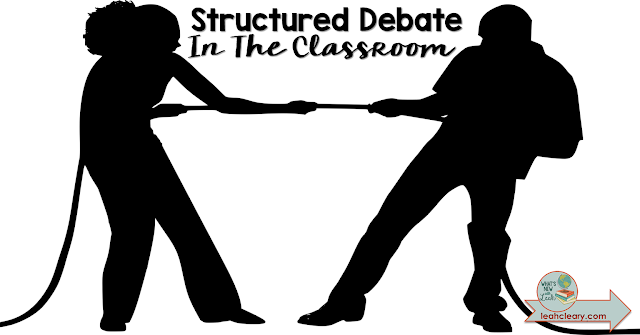 And then (this is very important), have students randomly draw which side they will be on in the class debate. This exercise is not about students expressing their opinions--it's about them constructing a structured and LOGICAL argument. If you have a large class, divide students into four groups and have two separate debates. If you are filming, they can happen simultaneously. I give them one class period to prepare, so they have to work quickly to construct an argument and anticipate counter-arguments. This is a great exercise in reasoning, and really, the first time, it probably won't be perfect, but they will improve with practice (and practice is often painful). 7. On debate day, either appoint a time-keeper or be the time-keeper yourself (this works well if you are filming). Have the Debate Structure in front of you and either have a timer set on your screen, use one on your phone, or use a stopwatch to keep track of time. Again, my structure looks like the one above (but there are many structures out there). 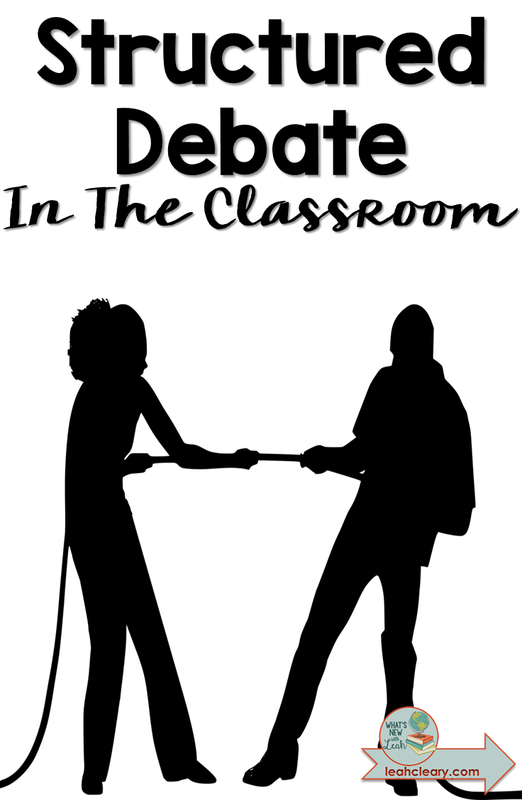 It is not easy to implement classroom debates, but I believe it is vital. Students learn to reason. They learn to argue logically. In the process, they learn to recognize the noise of social media and election season for what it is--noise. Hopefully, they learn to seek out (and recognize) the actual issues. Search the web, and search your own creativity to come up with something that works for your classroom. You can preview my resource for this here. It's editable, so you can customize it for your own classroom needs.